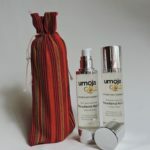 The health of indigenous Mayan Guatemalans is among the worst in the global south, especially in the rural Western Highlands region, which is vulnerable to natural disasters and drought. Chronic malnutrition has resulted in Guatemala having the highest stunting growth rates in Latin America. 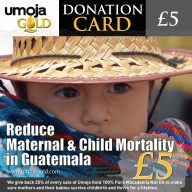 Furthermore, the country places among the three worst Latin American countries for maternal and child mortality. Sadly, many of the deaths could be prevented with basic health education and better access to health services. When we travelled to Guatemala, we got an eye-opening glimpse into the reality behind the statistics. We toured health clinics and saw firsthand the state of a rural medicine system that’s severely underfunded. We visited a newborn intensive care unit that was built for 50 babies but packed with 120. We drove into remote villages and discovered that the crisis is rooted in a complicated mix of culture, tradition, fear, political corruption, and economic inequality. 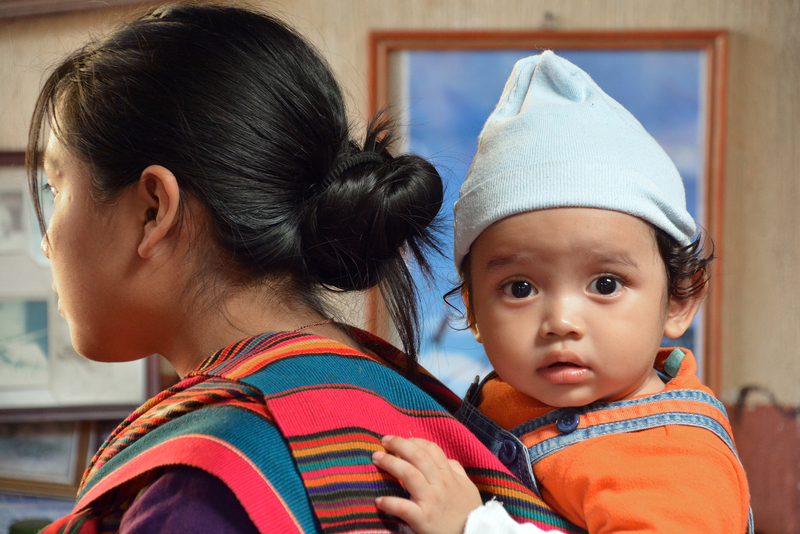 For 30 years, a group of passionate doctors in Guatemala City has been fighting the frontline battle to bring down the number of preventable deaths and improve health conditions for mothers and babies. We met these doctors and found ourselves drawn into their passion and commitment to relieve needless suffering. We’re honoured to be able to support them as they continue their life’s work. 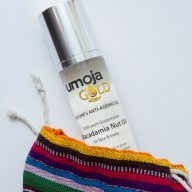 We designed Umoja Gold to help the people of Guatemala. We’ve built a business model that creates jobs and income; we source everything we can from local suppliers and pay fair prices. But our central focus is to work with the doctors to make a real difference in the health situation. To that end, we’re investing 25% of all sales into programs that will improve nutrition and reduce the preventable deaths of mothers and babies. 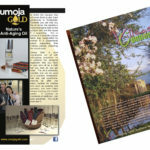 Our shareholders started Umoja Gold knowing that their Return on Investment has little to do with financial profit. Improve health services in economically disadvantaged communities. Educate and empower mothers to make sound health decisions. 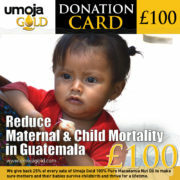 Improve nutrition for mothers, babies, and children. 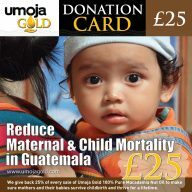 Save the lives of mothers and babies who are dying needlessly. Train midwives to recognize the factors that lead to fatal complications. Break down the cultural myths and barriers that prevent rural people from seeking professional health services.